An OB/GYN specialist, Dr. Breazeale's clinical interests include general and high-risk obstetric care, female permanent sterilization, endometrial ablation and hysteroscopy, and minimally invasive surgery. She was simply excellent, very informative, thorough and motivating. She has been such a Blessing to me and my family. She’s awesome and easy to talk to. She listens well and she is very personable. I like that she explains everything to you and answers all questions. She is very competent, easy to talk to, and supportive. She is a delightful person who is good at her profession. Listens and puts thought into the visit. Gives you all the time you need. She's very sweet and makes you feel comfortable. Which is so important when visiting an OBGYN. She was friendly, and smiling. She was an amazing physician, showed a new patient comfort and confidence before even attempting the exam! I am so happy to have found her. Very professional and knowledgeable with her practice. 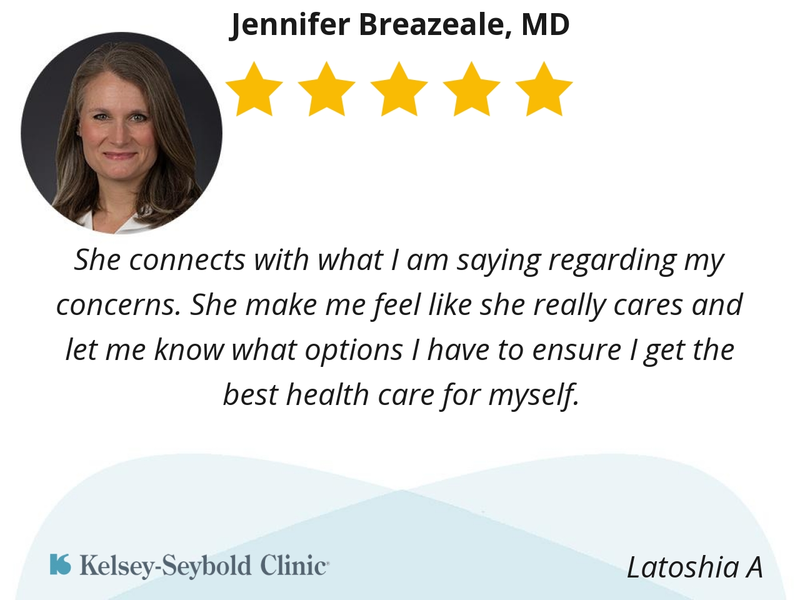 Dr Breazeale is very caring and takes the time to listen to her patients. She is knowledgeable, professional, and friendly. I felt like she took her time to address my concerns and explained things in an easily understandable manner. I'll go back to her and recommend her to others. 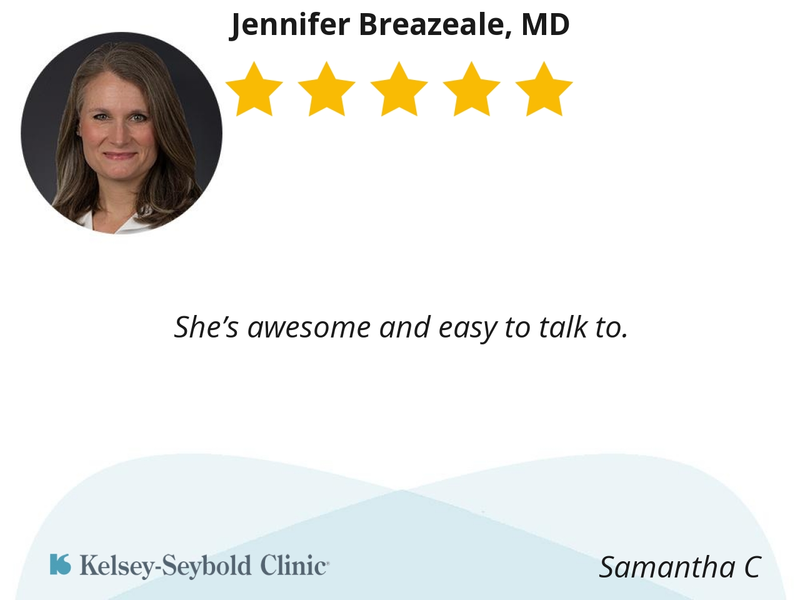 I just had my first visit and was very comfortable and impressed with Dr. Breazeale. She listens very well, and is easy to talk to. She is extremely knowledgeable and thorough. Excellent beside manner, which makes all the difference when seeing your doctor. Dr. Breazeale is very personable and friendly. She always keeps her patient's best interest in mind when she is serving them. I highly recommend Dr. Jennifer Breazeale to anyone. 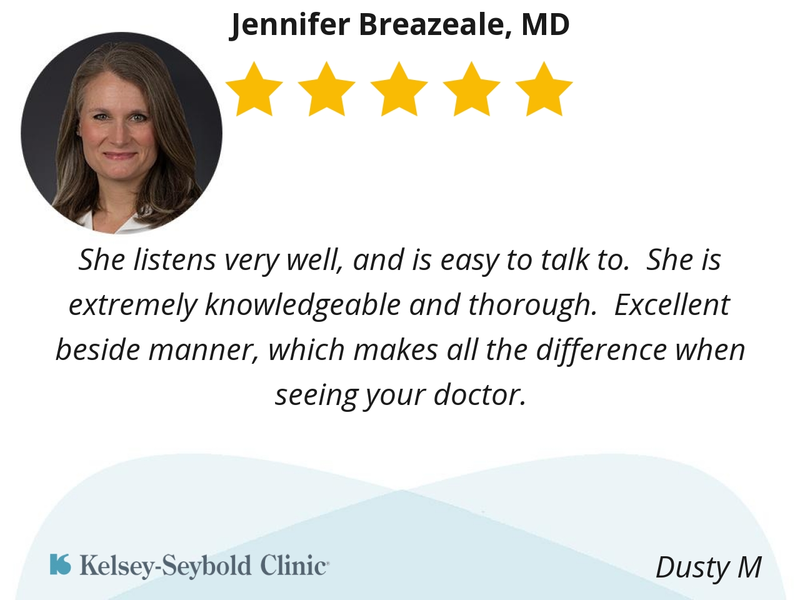 She’s very knowledgeable, friendly and works well with my husband and I. I’ve seen a few doctors over the years and Dr. Breazeale and her staff are by far my favorite. She made it easy to talk to, and hande all my concerns professionally. I love Dr. Breazeale and her staff; they are always so friendly and accomodating. Dr. Breazeale is very thorough and takes time to listen. This mom to be is very pleased! She connects with what I am saying regarding my concerns. She make me feel like she really cares and let me know what options I have to ensure I get the best health care for myself.